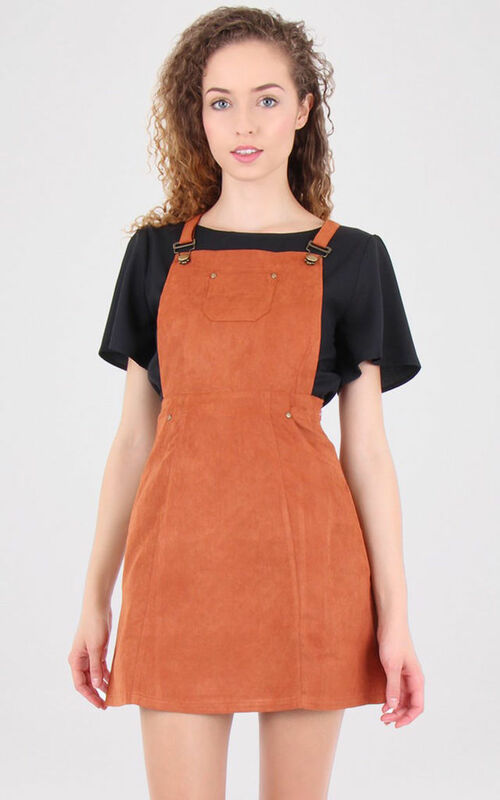 This suede dungaree pinafore dress is one our favorites this season with a square neckline, mini length and front pockets.Wear it with high neck sleeveless top and trainers for a sport chic look. Looking for the perfect dress? Whether you are after a chic print or something a bit more sophisticated- we have just the dress!Model wears size 8 UK.